Properties in Homer average 4.8 out of 5 stars. Spectacular Views and Privacy at Affordable Price! Property 4: Spectacular Views and Privacy at Affordable Price! 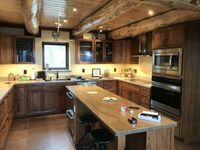 Family vacation home in Homer, Alaska! Close to town yet feels remote! Property 5: Family vacation home in Homer, Alaska! Close to town yet feels remote! Property 6: Beautiful and airy home in Homer, Alaska! Property 7: Experience Alaska! Amazing Views! Perfect Couples Retreat in Homer Alaska! Property 9: Perfect Couples Retreat in Homer Alaska! 2 blocks from downtown Homer with great views of the mountains and the bay. Property 11: 2 blocks from downtown Homer with great views of the mountains and the bay. Gorgeous Home, Private Hot Tub, Incredible View! Property 14: Gorgeous Home, Private Hot Tub, Incredible View! Bungalow by Bishops Beach - Just steps from the beach! Property 17: Bungalow by Bishops Beach - Just steps from the beach! Property 34: Seafarer's Beach House Beach Front Property, Amazing Views! Unique property with great view, privacy, and close to town. Property 38: Unique property with great view, privacy, and close to town. Custom Log Cabin with Amazing Views - great for couples and families! 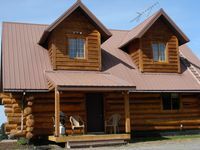 Property 40: Custom Log Cabin with Amazing Views - great for couples and families! Delightful Historic House In The Heart Of Downtown - Walk To Everything! Property 43: Delightful Historic House In The Heart Of Downtown - Walk To Everything! Gorgeous Home with Unobstructed Ocean & Mountain Views & Private Hot Tub! Property 46: Gorgeous Home with Unobstructed Ocean & Mountain Views & Private Hot Tub! Million Dollar Views from the 6 bedrooms, 4 bath Grand View Retreat! Property 50: Million Dollar Views from the 6 bedrooms, 4 bath Grand View Retreat! Everything about this house surpassed our expectations. The location, views, and amenities were first class. Communication from the Owner was excellent. We loved this house: close to Homer but pretty secluded. Saw lots of wild life: cranes, young moose was hanging out outside of the kitchen window. House was well stocked, everything we needed was there. Thank you Ken!